Why don’t “for fun” poker sites have iPhone apps? I’ll build my own! 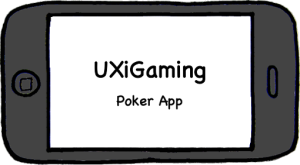 I’m starting a new personal project designing a iPhone poker app. So if any of the major poker sites/networks like PokerStars, Full Tilt Poker, PartyPoker (this used to be linked partypoker.com but bwin.party asked me to remove the link), Everest Poker, IPN, Ongame and Microgaming would like to work together with me then please contact me! You’ll be able to read about the project and progress here.